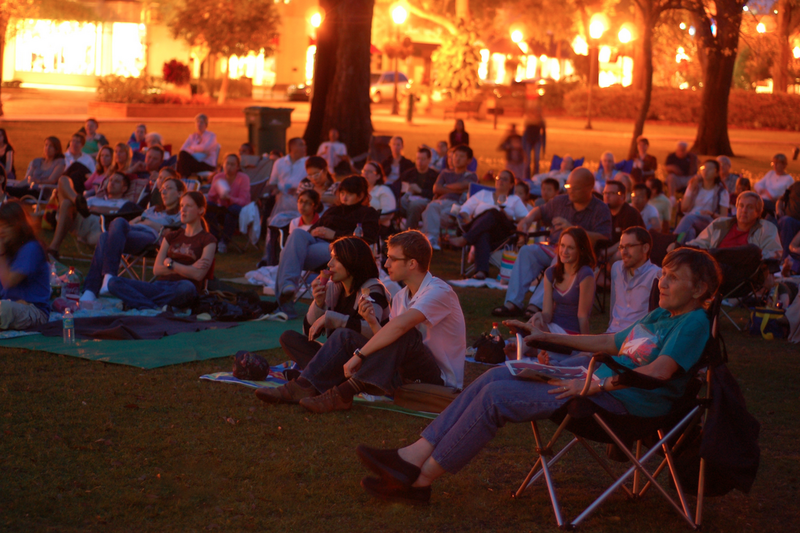 Outdoor movies in Orlando are very popular…and for good reason. On a beautiful night, there’s nothing better than watching a movie under the stars on a giant screen with your friends and family. Odds are you can probably find a family-friendly flick playing near you at least once a month and many of them are free. Movie Night at Leu Gardens. Snuggle up under the stars; bring your own snacks and chairs or blanket for a memorable and fun night in Orlando. Arrive early to get a good spot and settle in. Before you go: please make sure to check each website as some of the movie events are seasonal and times are always subject to change. To keep up with latest news on deals, discounts and free events in Central Florida, sign up for the Orlando on the Cheap newsletter. Snuggle up for an outdoor movie in a beautiful garden setting. Bring a picnic, chairs and a blanket for an evening under the stars at Leu Gardens’ Date Night. Alcohol is permitted. For more information, call 407-246-2620. Movies for $1 every Tuesday and $1.75 every day. This non-profit community theater hosts many special programs each week. If you are looking for a family-friendly flick, check out Peanut Butter Matinee on the fourth Sunday of the month. FREE for kids 12 and under. $8 for everyone else.